First let me clearly say that the persecution (using the #1 definition) of anyone is sinful and evil (Lev. 19:18; Matt 5:43, 19:19, 22:39 to name a few). It is also wrong and dishonest to claim persecution when calm, quite, factual and non-harassing honest disagreement is voiced. I do not condone nor support the persecution of any people or group. 1) Many LDS claim that the Mormon Church has been persecuted almost from its beginning in 1830. Is this the case? 2) What is not usually addressed is the opposite situation? Have Mormons persecuted others? 3) Were there extenuating circumstances that motivated persecution by both Mormons and non-Mormons? To the best of my knowledge no in depth study has been completed on these subjects as a whole. There have been many good books on some aspect of items 1-3, but not as an overall in depth study. 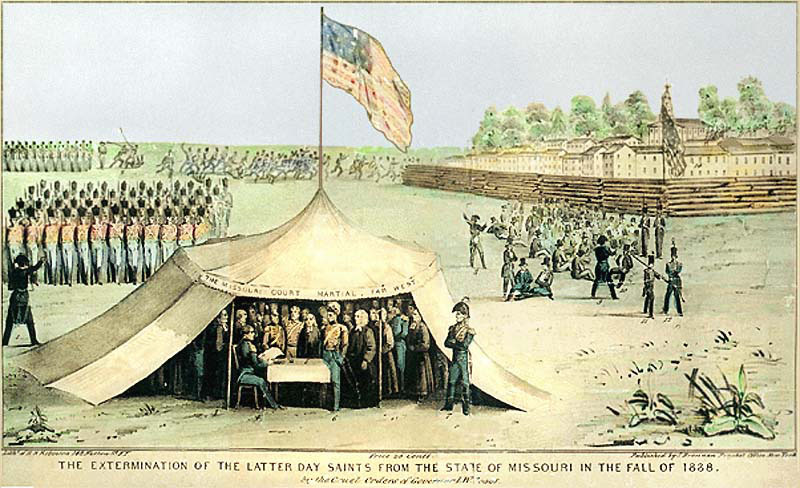 Mormons and Missourians in conflict during the 1838 Mormon War in Missouri. 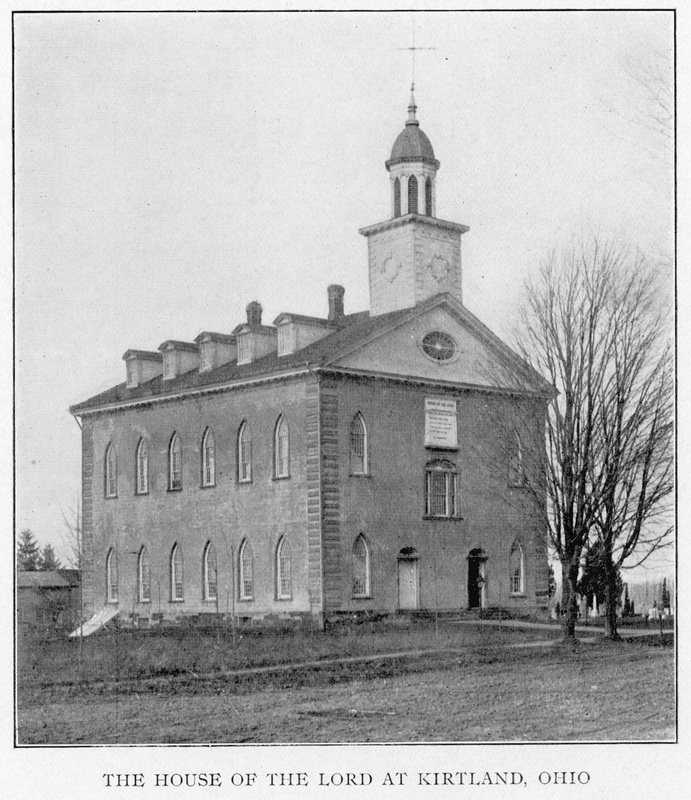 A hint of the complexity of this subject can be found in the so called persecution of Mormons that led to their communities leaving the Palmyra, New York area; Kirtland, Ohio area; Independence, Missouri area; Nauvoo, Illinois area and almost leaving their final settlement in the Salt Lake City area. Can any thinking person not even be suspicious that perhaps there might be some other reason(s) than to say each and every one of the area the Mormons left had a large enough population of evil persecutors to force the move? How about the consideration of what the common denominator was in each of the geographical areas, a consideration of what each of the areas had in common – the population of Mormons? 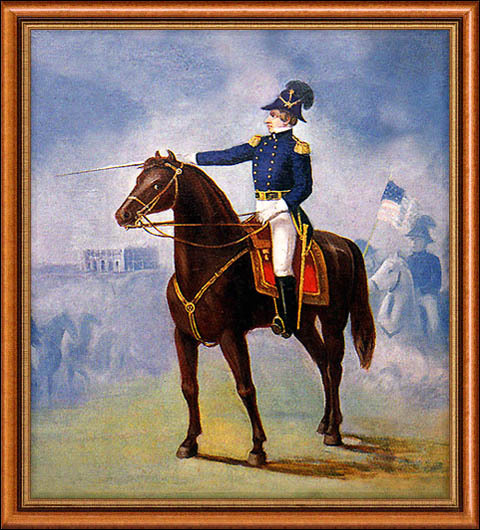 General Joseph Smith reviewing the Nauvoo Legion – which was larger than the Illinois State Militia. Mormons are quick to point to Missouri Governor Bogg’s Mormon “Extermination Order” but fail to consider Sydney Rigdon’s “Salt Sermon” about trampling and hanging dissenters, the role of slavery, the historical events that led to Bogg’s order and the latter attempt on his life. What most people miss is the correct definition of “extermination” in the 1835 time period. They are quick to claim persecution in Nauvoo, Illinois but fail to recognize the help non-Mormons gave to the Mormons when they left Missouri and moved into the Nauvoo area, how Mormons stole from the non-Mormons, counterfeiting of money and the political and economic issues. Probably few consider that what they call persecution was punishment from the Lord (Doctrine and Covenants 101:2-7; 103:1-4: 105:2-5) Overshadowing all of these is the way frontier societies handled serious conflict. These same Mormons fail to consider that the Bible in Jude 1:3, 2 Timothy 1:7-9, 4:2; Ephesians 6:19-20 and Hebrews 5:14 says all mature Christians should present and defend their faith in Jesus Christ. We have the Apostle Paul’s examples in Acts 17:1-2, 17, 22, 18:4. There is more on this subject under “Why Do We Oppose Mormonism?” which can be linked to off our home page. They fail to consider that some of the problems they call persecution were/are from the Lord because of the disobedience and transgressions of the “Saints” (Doctrine & Covenants 101:2-7; 103:1-4; 105:2-6). The best conclusion I have been able to arrive at so far is that both Mormons and non-Mormons were seriously guilty of persecution. Persecution, to the best I can see, has on both sides been driven by economic power, political power, evil people, retaliation and the way the frontier society of the day handled problems. It is a complex issue that one cannot begin to understand without a great deal of study. I do not claim to fully understand it. I am just a student of the subject. Have the Mormons been persecuted? Yes. Have non-Mormons been persecuted by Mormons? Yes. Have there been extenuating circumstances for both sides? Yes. Is it a complex subject? Very much so. It is a subject that must consider economic power, politics power, the way the then frontier society handled problems, evil people and retaliation by both sides. 1. Nauvoo – Kingdom On The Mississippi, by Robert Bruce Flanders; Un. of Ill. Press; 1975; p. 1-22. 2. Nightfall At Nauvoo, by Samuel W. Taylor; Avon; 1971; p. 388-399. 3. 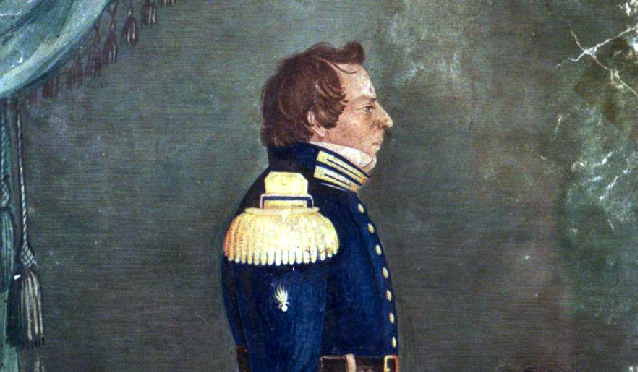 The 1838 Mormon War In Missouri, by Stephen C. LeSueur; Un. of Missouri Press, 1987, all of it. 5. Article: “Multiple Factors Led To Woes In Missouri;” Church News (by Mormon Church); p. 14; July 31, 1993. – Doctrine and Covenants 101:2-7; 103:1-4: 105:2-6. 7. Women of Mormondom, by Edward W. Tullidge; 1877, 1975 printing; p. 289f, 376, 381, 395, 404. 8. 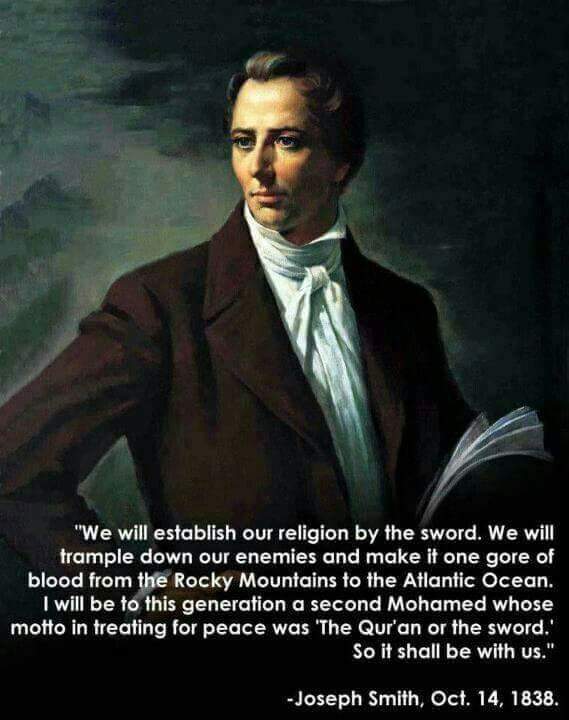 Joseph Smith and The Beginnings of Mormonism, by Richard L. Bushman; Un. of Ill. Press; 1984; p. 159f. 9. The Mormon Hierarchy, by D. Michael Quinn; Signature Books; 1994; p. 88-89, 92-103, 469f, 620, 636. 10. Address To All Believers In Christ, booklet by David Whitmer in Richmond, Missouri; 1887; p. 27-28, 54-55. 11. The example of what was done to David Whitmer and Oliver Cowdery by Mormons; p. 37-39 of item 3 above. 12. A Scarter Man Than One of Them Was I Never Saw, booklet by Stephen C. LeSueur; Mormon Miscellaneous, Sandy, UT. 13. Sidney Rigdon: A Portrait of Religious Excess, by Richard S. Van Wagoner; Signature Books; 1994; p. 143-145, 192-208, 213-241. 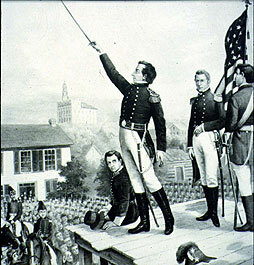 General Joseph Smith addressing the Nauvoo Legion. 14. The Mountain Meadows Massacre, by Juanita Brooks; Un. of OK Press; 1950; p. 3-9, 13-19. 15. The Journals of William E. McLellen; Ed. by Jan Shipps and John W. Welch; Un of Ill. Press; 1994; p. 9. 16. Salt Lake City Messenger (Tanner’s newsletter); Issue #88, May 1995; p. 6-10. 17. The Story of The Mormons, by William Alexander Linn; Macmillan Co.; 1902; p. vi, 122, 134-136, 154, 166-222, 258-261. 18. “Saints Given Relief”, Times and Seasons (LDS newspaper); by Joseph Smith; Jan. 15, 1841; Vol 2, p. 273-277. 19. Cultures In Conflict, by John E. Hallwas and Roger D. Launius; Utah State Un. Press; 1995; p. 1-165. John R. Farkas (1932-2011) was a convert to Mormonism in 1975 and served in several callings up to and including Elder’s Quoruom President of the Rochester 1st Ward, New York Stake. In 1984 he left the LdS Church and became involved with Berean Christian Ministries where he served until his death. 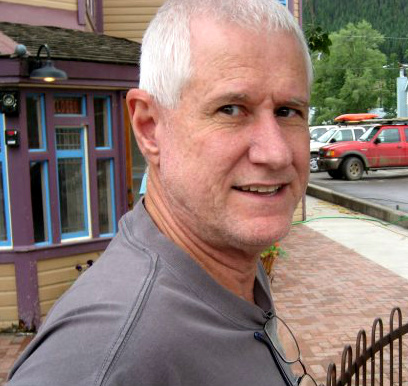 Mr. Farkas is the author of several books on Mormonism and other subjects which can be found on his Author’s page on Amazon. Beggar’s Bread is grateful that before he passed Mr. Farkas granted us the permission to republish the articles from his now defunct website. John Farkas is of one the giants on whose shoulders we stand and to whom we owe a debt that we simply can never repay! We look forward to thanking him again in heaven for the example of his life and treasure of wisdom that he left behind for our benefit.